Welcome to the Oldsmobile Forums. Check out this area for announcements in regards to the website and forums. Discuss the last generation of Oldsmobile models which our members have specifically asked to have listed. Forum specifically intended for Oldsmobile Aurora based discussions. Forum specifically intended for Oldsmobile Intrigue based discussions. Forum specifically intended for Oldsmobile Alero based discussions. 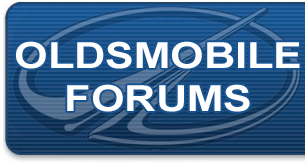 Forum specifically intended for Oldsmobile Bravada based discussions. Discuss Oldsmobile models which our members have specifically asked to have listed. Various Oldsmobile topics that don't necessarily fit anywhere else. Discuss more general topics not necessarily in regards to Oldsmobile automobiles. Talk about whatever you like here. If you are a new member, please take a moment to introduce yourself by posting a new topic. Post any technical questions or information elsewhere! Most users ever online was 9,768, May 2nd, 2017 at 09:17 AM.